The now former Baton Rouge, La., police officer who shot and killed an already subdued Alton Sterling now faces charges that he slapped a handcuffed suspect because the cop feared for his life, something something ... his safety was threatened, yada yada ... it’s a dangerous job. According to the New York Post, Blane Salamoni, whose name sounds like the villain from a Scorsese Mafia movie, received a summons for simple battery on Friday after a review of his bodycam footage showed him assaulting an arrestee less than a month prior to the July 5, 2016, death of Sterling. Salamoni was fired from the Baton Rouge Police Department in March of this year for violating procedures in the Sterling case after Baton Rouge Police Chief Murphy Paul determined that the department manual did not contain any provisions that allowed an officer to fire six times from point-blank range at a man who was already on the ground. 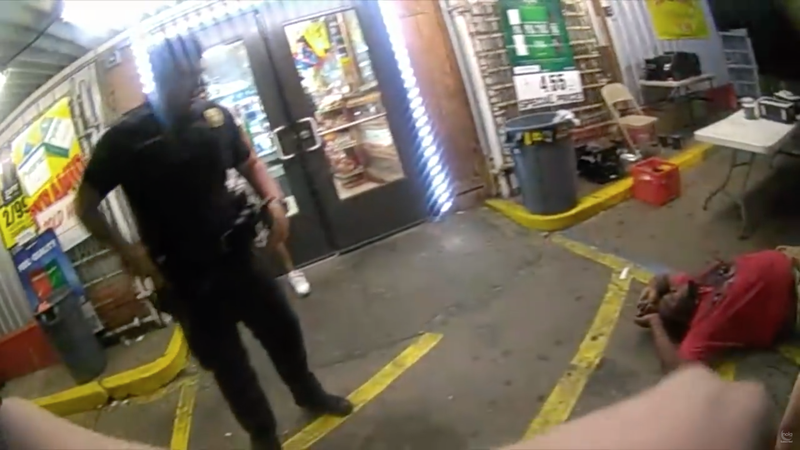 Although state and federal authorities chose not to pursue charges against Salamoni for the death of Sterling, the Police Department decided to review video from four other incidents in which Salamoni was accused of using excessive force. The review turned up an incident from June 2016 in which police bodycam footage shows Salamoni hitting a suspect on camera. Again, this happened in 2016. Before Alton Sterling was killed. Someone had filed a complaint. And they did not review the video until 2018. Salamoni’s lawyer, Brant Mayer, says that he believes the Police Department is using the footage to influence Salamoni’s appeal to get his job back. Mayer asserts that the now ex-cop spoke to his supervisor about the incident when it happened. A charge of simple battery is punishable by a maximum sentence of six months in jail and a $1,000 fine, which is much harsher than a charge of murder by cop, which carries a maximum sentence of not a damn thing. Salamoni is eager to get back to his job of killing and brutalizing the black people of Baton Rouge, while the black people of Baton Rouge are thankful to the Police Department for protecting them from a rogue police officer. Sure, he killed at least one guy and reportedly brutalized another, but still ... it’s the thought that counts, right? Alton Sterling could not be reached for comment.